A register of the population and the domestic and religious buildings of the city of Istanbul was drawn up on the order of Sultan Mehmed II the Conqueror in the year of 1455. Parts of the register survived in two pieces - one in the Ottoman Archives in Istanbul, and a copy of the other in a personal library. This book is the first publication of these two pieces as a whole. 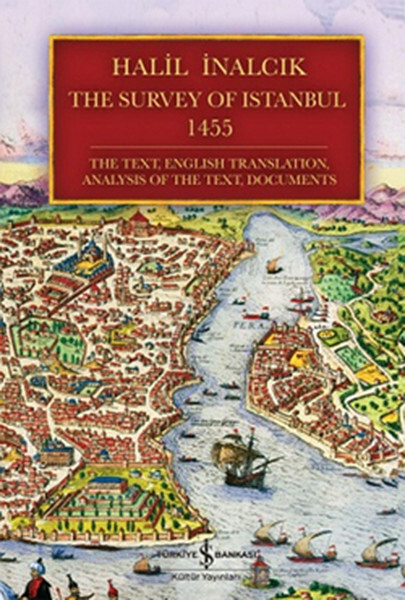 The first section of the book consists of the facsimile of the register, and a modern copy by Prof. Halil İnalcık, together with an English translation of the whole register. The second section consists of a summary and interpretation of the register's text -along with a glossary of terms and expressions, a list of personal names, essays on hâne and cizye, and an annotated list of churches, monasteries and mosques. An appendix offers a set of complementary documents and sources.